When we kicked things off in early 2016, we talked about the humble beginnings but big ambitions of the Varnish Cache project and launched a Twitter campaign in parallel, calling for the best use case submissions and were flooded with responses. Winners received a Swiss Army knife featuring the Varnish Cache logo. Later, we formalized the focus on rewarding innovation and value by introducing the Varnish Awards, inviting submissions from users, customers, the community - anyone working with Varnish in an innovative or value-adding way. The winners, which were the Financial Times for innovation and Canadian Broadcasting Corporation for value, joined us for the Los Angeles Varnish Summit in the autumn to share their use cases and accept their awards. Throughout the anniversary year, we published interviews with the movers and shakers of Varnish Cache, such as Anders Berg, the man with the idea and Poul-Henning Kamp, the man with the plan. To summarize this year in code: we pushed out Varnish 5.0, five bug-fix releases of 4.1 and the last maintenance release for 4.0, which is now officially End-Of-Life (EOL). Make sure to update to the newest stable and supported release (4.1) or the fresh and newest (5.0) release. Your VCL should be 100% compatible between all these versions. The celebration may be winding down but we won’t leave you empty-handed. During the year we (particularly Taiyeba, our fantastic summer intern) have been hard at work compiling a Varnish Wiki made especially for web developers (Wordpress, Drupal, Magento and more) , which is finally available - just in time for all your new year Varnish needs- for you to use and contribute to (we accept Pull-Requests). 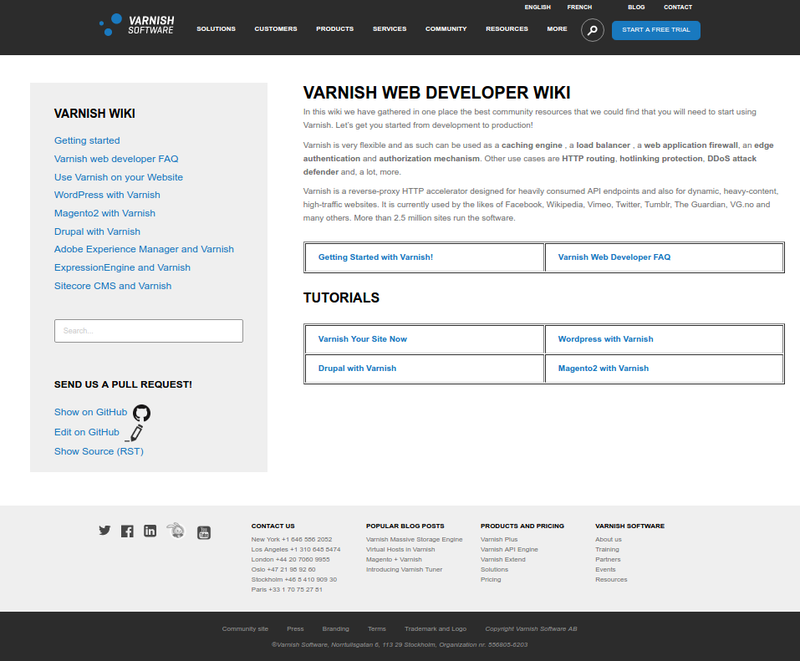 All the things you want and need to know about Varnish Cache and the fundamentals of caching in one place. As we head into 2017, we want to thank you for all your contributions, helping us celebrate a decade of Varnish and we look forward to having you with us as we continue the Varnish journey into the future.